1. 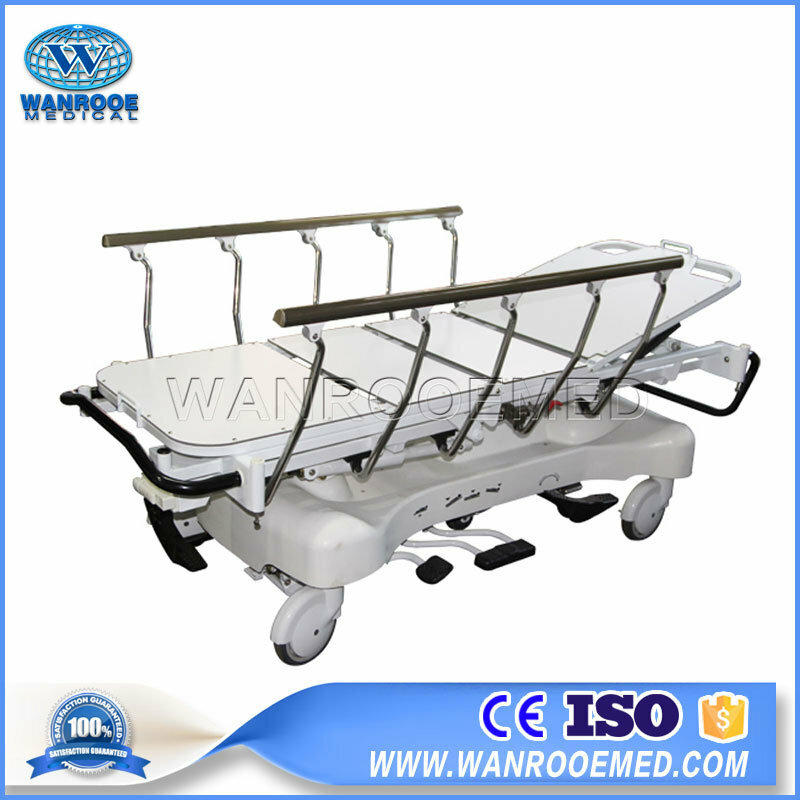 Â Double hydraulic oil pump from USA power-packer brand of Actuant supply stable power source for hydraulic hospital stretcher. 2.Â Â Â Â Â Full bed surface is made of USA Electrolytic wood with X-ray cassette. 3.Â Â Â Â Â Trendelenburg/reverse-trendelenburg, height adjustment, can be reached by foot pedal easily. 4.Â Â Â Â Â Four wheel braking system, steering system, 200mm diameter castors reach mobility easy and convenient. 5.Â Â Â Â Â Fowler position is reached by gas spring. 6.Â Â Â Â Â Knee section manual control by hand crank. 7.Â Â Â Â Â Ergonomic push handles. 8.Â Â Â Â Â Frames with red rubber strip, beauty and anticollision. 9.Â Â Â Â Â Four wheel braking system and steering system reach mobility easily and convenient. 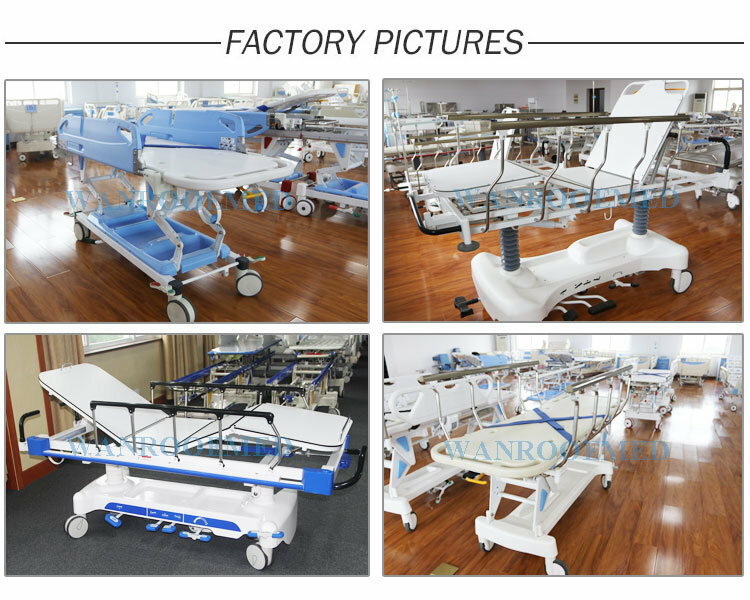 2.Â Â Â Â Â Once injection PP undercarriage, PP siderails, PP plateform, anticollision, easy to clean.